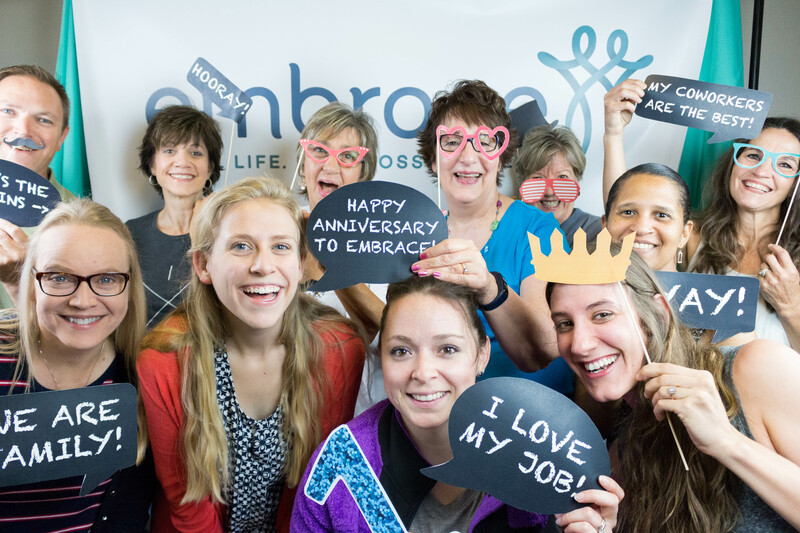 It’s been a year since we changed our name from PCC to Embrace and the momentum is still going strong! We wanted to take this time to say thank you to all who played a part in the process. From brainstorming sessions to answering surveys, your feedback made all the difference. 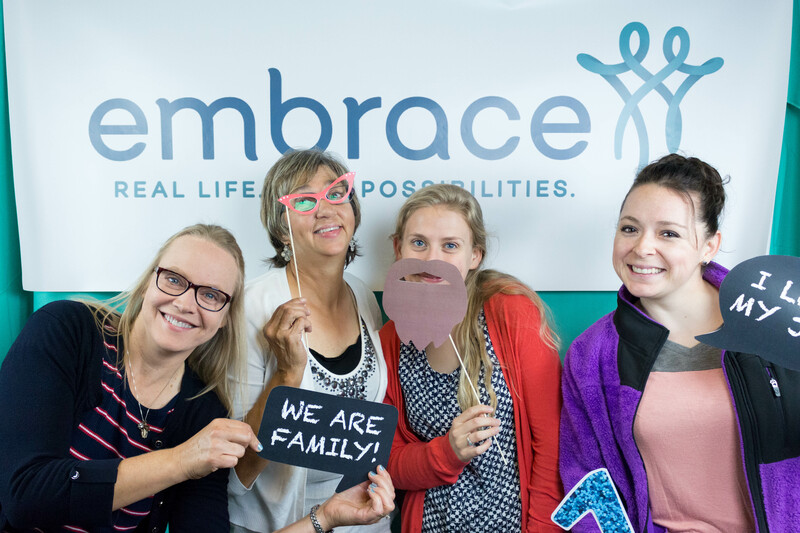 The Process: PCC is now Embrace! As we reflect on the last year, we wanted to give credit to the creative talent behind brand & logo. Justin from JByron Marketing took on our project & helped us develop a strategy to best share our story. His team walked us through the entire process, collecting research & providing us the tools we needed to make the switch. Their hard work (along with our Board of Directors & faithful staff) is what made the switch even possible! 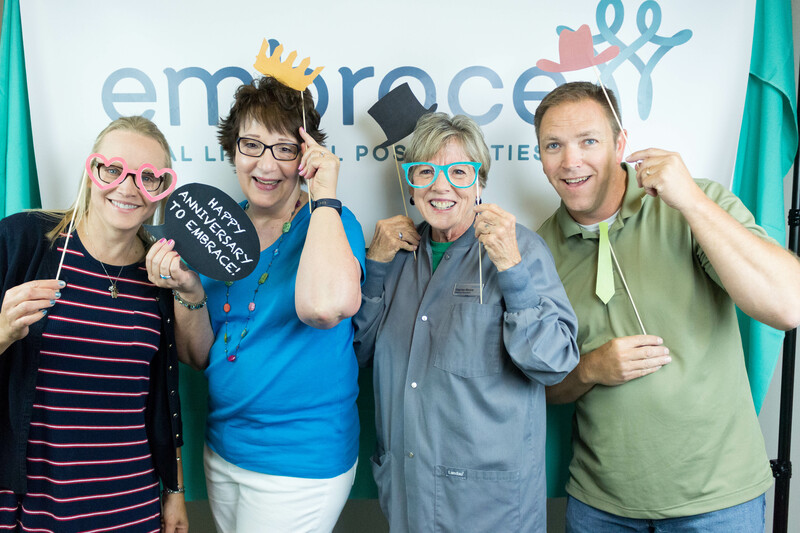 Photo booth fun with staff in our media room! When the new name was announced, I was blown away by how accurately it portrayed the Center and the services I've received here. 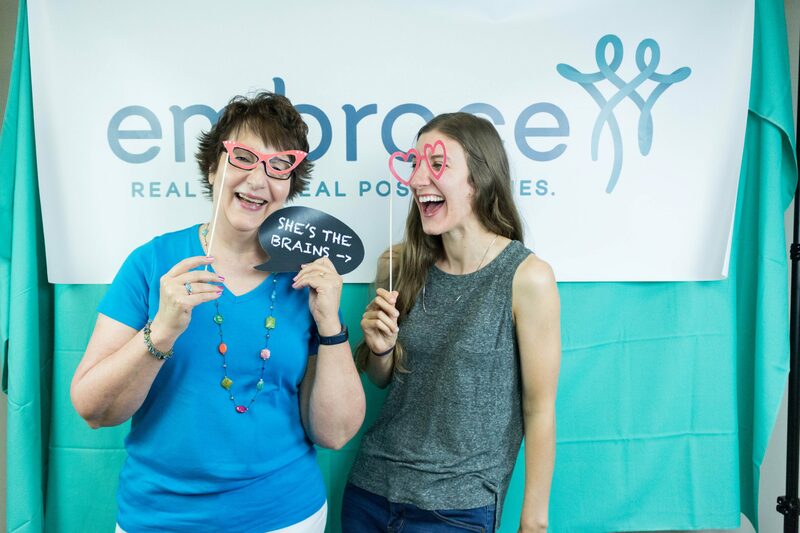 Well done Embrace! I Love the new name!! Your explanation makes it fit you, and what you do, perfectly. Three cheers for our Executive Director, the lone male in our office. Keep spreading the word! The more you share, the more clients have an opportunity to find LIFE to the full. If you haven’t already, like us on Facebook, give a follow on Instagram or share about our services with a friend. 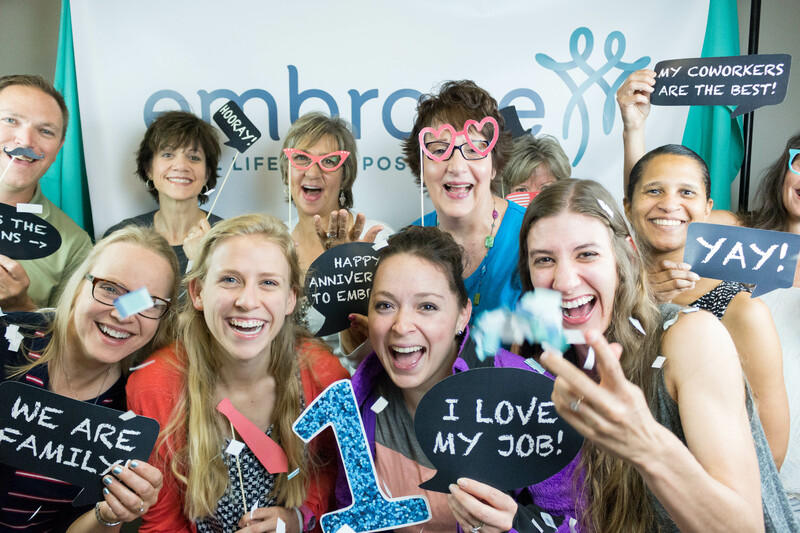 The mission of Embrace is unchanged, empowering individuals to: choose life, practice sexual integrity, and experience physical, emotional, and spiritual wholeness. Won’t you join in what God is doing?